Fairfield Restaurant Week lasts from October 12-18. Participating restaurant will feature prix fixe lunch and dinner menus. Lunches will be $10 or $15 and dinners will be $20 or $30, depending on the location. More info here. 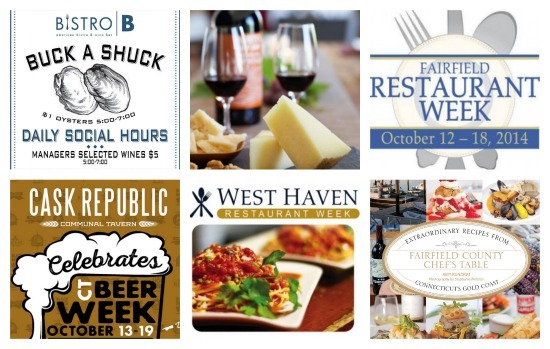 It’s also West Haven Restaurant Week from October 13-19. Click here for participating restaurants and their specials. Cask Republic and Two Roads come together on Monday October 13 for a beer dinner in Stamford. It features 5 courses and 6 brews, including 3 “very rare beers”. Brewmaster Phil Markowski will be there as well. $75 per person. Meanwhile, it’s CT Beer Week at Cask Republic’s New Haven location! All week long, they’ll specials on tap and cask conditioned ales from CT breweries. View schedule here. Tuesday, October 14th is the next installation of Fairfield Cheese Company’s fall classes. This time, it’s “Perfect Pairings: The Basics of Matching Cheese with Beer.” $45 per person, 7-10pm. Wednesday October 15 is New London, CT’s Annual Fall Food Stroll. Visit over 40 different restaurants, shops, and cultural institutions while enjoying samples of dishes and drinks. Food served will be judged in a competition.  There will ongoing live entertainment. Tickets are $30 in advance and $35 on the day (if available). It will be $25 for military, students, and groups. On Wednesday, October 15th at 6:30 PM, CTBites’ own Amy Kundrat & Stephanie Webster sit down at the beautiful Artisan Restaurant in Southport to talk about our their new cookbook, Fairfield County Chef’s Table. They won’t just talk about the book...you’ll get to enjoy a special meal prepared by Executive Chef Frederick Kieffer (who will also be there to chat). Make your reservations now for pre-paid tickets by calling 203-255-7756 Ext 501 or email: FairfieldUBookstoreEvents@gmail.com. Event Cost: $50 includes a sit down dinner and 1 copy of Fairfield County Chef’s Table along with book talk by author, photographer and chef. Additional ad-ons are available: 2nd dinner for $25, additional book for $22. Prices include tax & gratuities. Open cash bar will be available. Bistro B at the Westport Inn will hold a wine dinner on Wednesday October 15. The 4-course dinner will feature a menu by Executive Chef Jason Milanese and wine parings by Donna Pace of Gathering Harvests Wines. $50.00 per person plus tax and gratuity. For reservations please call 203-557-8145. The Madison Beach Hotel will host a “Scotch Dinner on the Shoreline” on Thursday October 16. $89 per person plus tax and gratuity. The evening will include hors d'oeuvres, a 4 course dinner, and a selection of Scotch. Call 203.350.0014 to reserve your seat. The Fairfield County Local Advisory Board of First Book and Stew Leonard's Wines invite you to “First Taste to Benefit First Book” at Fairfield Museum on the 17th. Try over 40 wines, local beers, and artisanal whiskey. 100% of the ticket proceeds benefit First Book, which donates books to children in need. $40 for one, $70 for two. 6:30-8:30pm. 203-331-0551. The 5th annual Connecticut Cheese & Wine Festival, a celebration of local artisan made foods & wines will take place at Hopkins Vineyard, 25 Hopkins Rd in New Preston, on Saturday, October 18, 2014, 11 a.m. to 5 p.m. Admission to the festival is $20 purchased on-line until October 17, at 12 p.m., or $23 at the gate. For more information, email jaklownds@hotmail.com, call 203 273-5821, email info@artisanmade-ne.com, or visit www.artisanmade-ne.com. Lunch is served every Wednesday, Thursday & Friday at Match Restaurant with a new 2-course menu for $19.95. Matthew Fernandez will also join them to perform acoustic tunes every Thursday evening beginning at 8:30pm.